Hellooooo! I'm flinging open the Attic window and breathing in the sharp, damp scent of a beautiful Autumn day here in my patch. Blue sky and sunshine, a light haziness over the hills, it's pretty perfect for the start of November and I am glad. We are at the end of half term week here, it's been a much needed break for the Little People who've had a busy start to the school year. We were down in Dorset for six days last week, returning home on Thursday night. Although it wasn't quite the rest and recuperation I had been longing for, it was still lovely to be back on familiar home-turf. The weather was a complete mixed bag, but we were blessed with a short but fantastic warm, sunshiny spell at the beginning of the week, and oh it did feel good! J and I sat with a coffee at the end of the pier whilst the Little Peeps whizzed round on their scooters, and the warmth of the sun on my face felt absolutely amazing. It was the end of October, and I was wearing a T-shirt! I just couldn't get over that, but it really was lovely. We hadn't planned to be in Dorset at this time, actually we had planned and booked a completely different family holiday which at the last moment we decided to cancel. Heading down to Dorset to spend time helping my Mum was more important, and although it ended up being a very tough week for me emotionally, I feel sure in my heart that it was all for the good. I am now taking one day at a time, and quietly hoping that maybe, just maybe we are finally turning a corner. Maybe next week will be better than this week. I really, really hope this will be so, and that gradually I can begin to let go of the constant worry. I would like to say a huge, heartfelt thank you to everyone of you who have taken the time to write to me and offer comforting words. Surprisingly for a wordy individual like me, I find I am not able to articulate my own feelings very well here. But the support and friendship I receive through my blog really is amazing and humbling and I hope you all know how very grateful I am for it. It has also done me a lot of good to be away from my computer and to spend quality time with my family, I really needed to do that. However, despite me saying that I would be taking some much needed time away from my blog for a week, it seems that some of you have had plenty to say whilst I've been gone. Crikey. Coming back to my in-box full of wordy-words has been a bit of a shock! However, as promised, a week has passed and now I am back here in the Attic and it is time for us to talk and clear the air. As I have always said, I really do value all the comments that you write in response to my posts and I always, without fail take time to read each and every one, even when there are literally hundreds. It is the comments, the dialogue, the sharing of words that makes blogging so special and I absolutely LOVE being a part of this vibrant, creative, friendly online community. In recent weeks there have been a number of issues raised within the comments here on my blog to do with the content and direction of Attic24, all of which I have read and digested. When I am ready to do so, I will make an attempt to write about these things as I really want to make sure my blog continues to give me (and you) as much pleasure as it has done over the past six and a half years. Today, I want to chat about Yarndale and the Mandalas, as after catching up with the comments that have arrived whilst I've been away from my blog, I realise that certain things need to be voiced and made clear. You can read the story about the beginnings of Yarndale here. Seven of us made up the original Yarndale team, which was formally established as a limited company in July 2012. We set out to organise a small yarn festival in our local market town, and seven of us committed our time, energy, enthusiasm and vision to get Yarndale up and running. It was a big risk, and as there were considerable up-front expenses we all had to make an initial investment with no guarantee of any return. We had no idea at the time if Yarndale was going to be a roaring success or a disastrous failure. But we SO wanted it to be a success, we really did, and each of us put in a considerable amount of effort to make it happen. We wanted to create something new and exciting for our local community, which would also give us an opportunity to invite lots of fellow yarn lovers from all over the country to share the creative fun with us. But lets be clear here....although Yarndale does benefit the local community enormously and gives an awful lot to the town, Yarndale is not registered or run as a charity. ....this year we had 180 exhibitors. One Hundred and Eighty. It has come a long way from our original vision, in that we only ever hoped for 70 exhibitors at best when we first set out to create this "festival of yarn and creativity". The sheer size of the festival means that it provides a truly amazing weekend for our visitors. It also gives 180 talented small businesses a venue to display and sell their yarny goods, as well as their incredible passion and knowledge for their craft. It is soooo inspiring! But maybe you can try and imagine what it takes to actually make this festival happen? It is without doubt, a very big undertaking. At the start of this year (2014), two of the original directors of Yarndale Ltd stepped down, leaving five of us (including me) to organise and run the show this year. In order to run this kind of sizeable event succesfully, safely and legally, Yarndale is operated as a limited company, with each director taking a dividend once the bills and taxes have been paid and all the accounts have been settled. But really, the honest truth of it is that the five of us do give a lot of our time and energy throughout the whole year to make Yarndale a success, for both the exhibitors and the visitors who attend the festival. We really do earn that dividend and we are so proud of Yarndale's success! I know it gives me a tremendous feeling of achievement and sense of purpose, knowing that I am helping to do this wonderful thing for the yarn-loving community. One of the things that I have loved about our vision for Yarndale from the very start is the creative element. To me, this is what it is all about - it's a celebration of creativity! I have absolutely loved everything about the Mandala Project this year, it has given me a lot of pleasure to be the "curator" of such an amazing visual display. I wish to make it clear that the Mandala Project was completely my idea right from the start. The whole mandala project was not something that the Yarndale team dreamed up and the others really had no involvement with it, other than to help me hang (and take down) the 1,182 pieces of crochet. So why did I do it? It was a vision you see, a creative vision fuelled by my obsession with crochet and colour, my love of the blogging community and the way in which we are all connected by a love of yarn, no matter where in the world we live. It was also a response to the frequent requests I received from people who could not attend Yarndale personally but still felt that they wished to be a part of this "festival of creativity". And finally, I admit there was a selfish need to bring a healthy dose of crochet to the type of yarn festival that is traditionally dominated by knitting. I want to make Yarndale more about crochet! Lets celebrate the hooky! Lets show everyone how totally amazing crochet is and what fantastic things we can do when we all work together!! All these things led me to dream up a simple idea to celebrate the talent within the crochet community in the form of a magnificent visual display. The fact that so many of you chose to join in with my vision, to help me create something exciting, unique (and big! ), has been utterly wonderful. I have wanted to write about this for weeks, but it has been really unexpectedly hard for me to find the words, to explain what this has meant to me, how it has made me feel. It has been very, very emotional. Emotional mandalas, it sounds ridiculous, but that really is the way it is for me. I am so very often ruled by my heart it seems. I was (and still am) incredibly excited about what we all collectively managed to achieve here, it really is completely awesome, in every sense of the word. The Mandala Project has become it's own entity, and as the curator I now have the responsibility of deciding what happens next. I see the mandalas as an ongoing project, and in recent weeks have been investigating ways in which they can go on to have a wonderful life beyond Yarndale. I was hoping to have something definite to share with you about my ideas for that, but nothing has been decided just yet. I just know that I want to try and share this amazing display with many more people, to find a way to exhibit the mandalas at different venues perhaps. I am open to suggestions, do please let me know if you have any ideas?! Each of us within the Yarndale team have particular jobs that we take responsibility for. For example, it seemed natural for me to take on the writing as I do like to do the wordy thing! So during the course of the year I write the press releases, the magazine articles, the Yarndale brochure and website, as well as attempting to keep active across all social media. With most of the work happening in the run up to the event, once it's all over there is a real need for all of the Yarndale team to take a well earned breather, me included. However, I do appreciate that many of you have been waiting for me to write about the weekend and to share pictures, especially those of you who so generously made and sent mandalas. In normal circumstances, I would have taken a few weeks break and then done some full and glorious write-ups about Yarndale, just as I did last year (see here, here and here). But this October has not been normal for me I'm afraid, and I can only apologise that I've not been up to the job. I am so sorry if you have felt upset by the lack of feedback from me here on my blog. I also understand from a few of the comments left here on my blog this week, that some of you have felt misled by the lack of information regarding the set up of Yarndale, and by the fact that you mistakenly assumed you were making and contributing mandalas for charity. No, Yarndale is not a charity, and with hindsight I should have made this crystal clear when I first got all giddy about the mandala project back in May. I promise you hand on heart that it was never my intention to mislead any of you, and I am truly sorry if my naivety has caused upset. I am who I am, just a mum of three kids juggling a busy life, writing a blog, crocheting in cafés, helping to organise a yarn festival in my local town. Every so often, of course I make mistakes, there is no manual for the sort of thing I do, and it is a steep learning curve for sure. I bumble along in my own over-excited way, wearing rainbow-tinted spectacles, not really thinking of the consequences before jumping in with my red mary janes to have fun with crochet and yarn. I totally understand if some of you no longer wish to have your mandalas included in this ongoing project, as one or two of you have voiced this in comments this week. If you wish to have your mandala returned, of course I am more than happy to do this. All you need to do is to email me and we can sort it out. As ever, Ireally do appreciate every ounce of support and enthusiasm you offer me here through my blog, it means the world to me. I am looking forward to writing and sharing more about Yarndale in the coming weeks, as well as getting back to sharing my usual colourful, day to day stuff here on my blog. I am hopeful that November will be very much easier all round than October was. Ever hopeful, that's me. 1. Pleeeeeeeeeeease can we keep comments friendly and civil, no bad words or nastiness please or I will have to step in and start moderating. 2. I will be working with the Yarndale team to create an "About" page for our website which will give factual information about the set up. We should have done this in the very beginning and it was an oversight, thanks to those of you who have pointed that out. I just want to say that I'm sorry you've had negative feedback about Yarndale. For me it was a superb opportunity to sell and to meet many like-minded people. I was never under any illusion that it was a charity. For goodness' sake it was a lot of extremely hard work for you and the team. 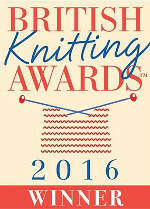 I'm sure The Knitting and stitching show doesn't have to justify itself. Thank you for the work, and I'm so looking forward to being a stall holder this year. This is entirely baffling. We live in a capitalist society. Lucy has 3 children to look after. Why the hell are you all wittering on about money? Wool is nice. Life is nice. That's all I've ever got from this blog. Maybe instead of bitching about something that only lies with your own inability to read you should go and make something nice instead? It always saddens me when I read that people turn vicious over such ridiculous things and don't care how much their faceless internet words can hurt. I am a full time law student in Florida, USA and I retreat to your blog to immerse myself in the beauty of your words, crochet, and nature. Your posts are always happy, colorful and full of character. I read your blog because you are exactly who you are. That includes whatever you choose to blog about. It's your blog. We merely have the pleasure of enjoying your pictures and thoughts. Whatever they may be. As for those who are all in a tizzy because the mandalas were not for charity. Shame on you. The amount of time, energy and soul Lucy puts into her blog alone (all for her readers to enjoy) should show she is not in it for the money in any sense. There is absolutely nothing wrong with a for profit business. Also, it would behoove you to read fully before making hasty and nasty comments. It's rude, and unnecessary, and definitely goes against the whole image of being "charitable." Thank you Lucy for all that you do. Good luck! I do hope that your mind will ease over time and I know that working with such colourful yarn will certainly help! Yarndale and your involvement in it is anything other than it actually is. All of what you're doing seemed VERY clear to me and I'm only a "part-time" follower, lol. To me, you are the epitome of the idea that we're here on earth to find our gift and then our time on earth is meant to share that gift. You are doing that in the most impressive of ways. Hats off to you-- thanks for your artistic and wide-spread contribution to the world...Keep up the great work! Hugs to you from California! As for the misunderstanding about Yarndale being a charity..... You may not have made it clear that bit was a Ltd Co, but you equally made no hint of anything that I picked up that it was a Charity either. I really can't understand why anyone would have a problem with their mandalas being used now that "the big secret of Yarndale not being a charity" is out! Poppycock!! I was (I think on the same page as you) of the understanding that the Mandalay, like the triangles we did last year (that I did manage to do! LOL) were a bit of fun, so that we as your readers could be part of the even you were so busy organising. And that as "virtual" friends of yours we could do what we would do.if we were real close by friends and get involved to help you out. I think the amount of free patterns, tutorials and inspiration I have received during my time reading you're blog would be more payment than I would ever need for a few scraps of yarn made into a Mandalay and a stamp to post it. PS: I hope your mum is doing better. Since I opened my website I have had a lot of negative reaction born from my success. It shook me to the core . Lucy, you're a darling! Keep up the hooky! Oh my word Lucy I'm sad to hear you've had any less than desirable comments here. I didn't contribute to the mandalas but I just assumed it was fun and not fit charity. I guess the more popular you become means that you will unfortunately come in contact with some nastiness which makes sad. You're naivety is nice. I hope that you don't become discouraged by this. Keep being yourself and sharing your love of crochet and simple enjoyments in life. Reading your blog is like being hugged and inspired to enjoy simple family life. Carry on. You are just great. I cannot believe you have had negative comments about your blog and yarndale. Let me say on behalf of the majority of crafters that I love your blog , your use of colour and yarndale. My friends and I have talked about and looked forward to yarndale all year and agree both events were a triumph, thank you. My message to the minority is if you can't say anything nice, don't say anything at all. I feel bad for you that there has been any bad feeling expressed towards you and the mandala project. It astonishes me that there could have been any confusion over this, it was just a bit of fun. It was amazing to see the mandalas and try to spot my own - even my boyfriend thought it was fun! You have to take every opportunity in life and writing your blog seems to have opened up so many for you. I think it is wonderful that you now have these extra revenue streams and I'm more than a little envious of your current lifestyle! I wish you all the best on your continued colourful yarny journey. Please ignore the nay-sayers and continue to inspire us all! Hi Lucy, it's so nice to see all of the mandalas together. So may pretty colors, so many pretty patterns. Thanks for sharing your wonderful experience with us. Since I am not part of a local crochet community, I adored the idea, both last year and this year, of contributing to an INTERNATIONAL (how fun!) crochet project. I love the idea that my 2013 granny triangles and my 2014 Mandela were part of a wonderful artistic whole. I really hope you'll dream up another way for us all to crochet together again for Yarndale next year. You go, Lucy! Tipping my hat -- and hook -- to you from across the pond in Hammond, Louisiana. So glad that you opened the window! You have been such a catalyst for crochet, and I so appreciate your blog and the community you have created through your blog and your work. Although I totally understand the need to be transparent, I never thought the mandalas were a charity project. I thought that was pretty evident.Thanks for doing all you do. You have elevated crochet to a new height in fiber arts and I am sure I am not the only person who found a renewed interest in crochet through your work. Much love, and take good care of yourself. I really appreciate what Darlynn Venne wrote about this being your blog to manage in ways that benefit you creatively. When I found your blog several years ago, that was the very thing that drew me to your writing - your sense of joy and appreciation for everything around you. Please continue to write your blog so that you feel fulfilled; because it will fill us as well. What hard nosed patronising creatures many of the 'nice' followers have turned out to be. The funny thing is they honestly think they are the good ones. Bossy too. Their nastiness to others makes them profound hypocrites. They are the ones whose comments make me shudder. What is negativity is open to interpretation. Well said KayJay - that's exactly right - my hubby would also recommend to anyone hosting an event on this scale to set it up as a Limited Company - like you say if someone Falls they don't sue you. Clearly some folk don't understand. I see Katie and Joyce no longer wish to be a part of this lovely community of friends - so bye bye to them! Welcome back Lucy. So sorry to hear about the moans you had received after all your hard work and especially when you are having such a tough time of things at the moment. Glad you were able to have some much needed time out with your family. You bring so much joy to so many different people around the world through your blog, myself included. Thanks you for all that you share with us in such a heart warming and honest way. I was lucky enough to come to the first Yarndale and meet you briefly. I'm not sure where the confusion came from as surely the bunting was done in the same way as the mandala's? Sending you a big hug and hope your mum is recovering. Thanks again for all you share with us.